A website is just like a door to your business. In fact it's the face of your business through which your potential customers will identify you on the world wide web. At Sierra IT Group our motto is simple: A website should do more than just look good! Your website should give you outcomes that you can measure such as more leads, more sales, more traffic and better user engagement. 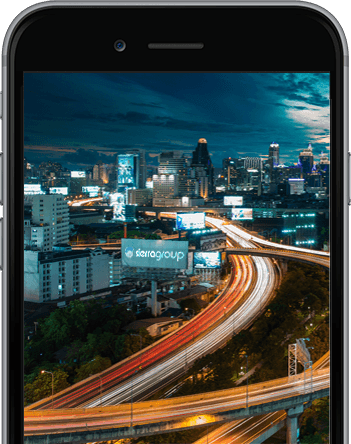 We help brands, independent companies of any size and individuals in Thailand to solve real-world digital problems by putting their needs and their customers at the heart of everything we do. We offer responsive website design & development services that consider your budget, goals and requirements - but more over, that are mobile fiendly and that work seamlessly on every device. We are the leading agency in Thailand that has the required knowledge & superior expertise that will exceed your project expectations, so whether you are looking for custom web design solutions or the development of more advanced web applications you will be amazed to find all of the services you need under one roof. Pixel perfect, highly flexible, mobile responsive and feature rich Bar & Restaurant webdesign and development solutions. Looking for professional Webdesign & Development Solutions?